Spiritual Pajamas is honored to announce the debut album from Mapache! Close your eyes and imagine the Everly Brothers wearing Tied Dyed Nudie Suits. Okay, now open them. There's Mapache. Youngn's Clay Finch and Sam Blasucci, the Mapache boys, are barely in their 20s and are already rising to the top of the new wave of West Coast Cosmic Americana. 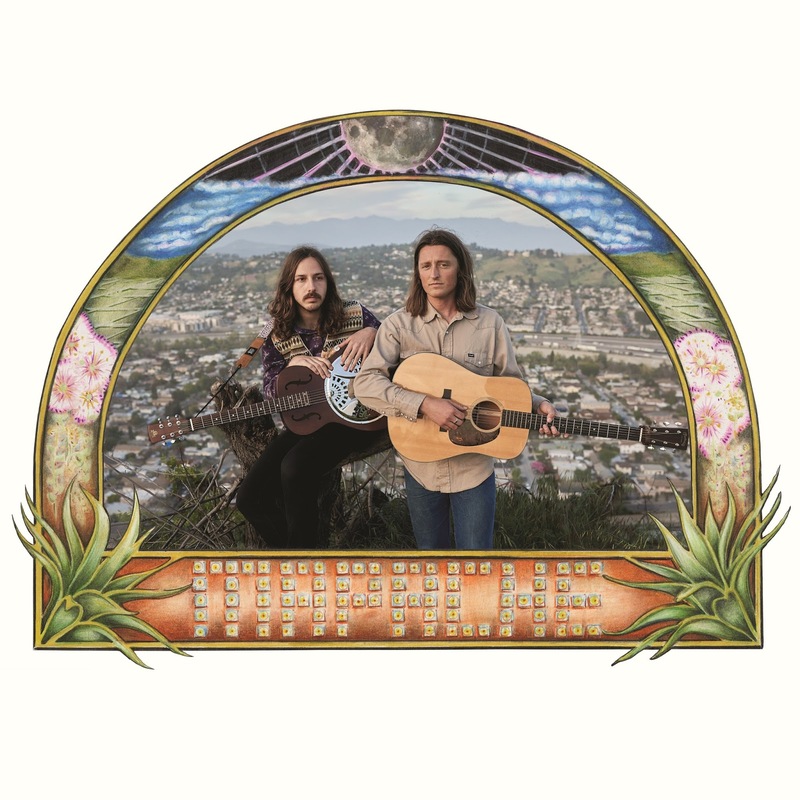 Born and raised in Glendale, California, their breathtaking harmonies and heartfelt yet heady sound, was honed by surfing the beaches and exploring the deserts and canyons of their native California. Clay spent time at Chico State while Sam missioned in Saltillo, Mexico, living out what would become the songs on their debut album MAPACHE on the Spiritual Pajamas label. The lineage of MAPACHE has blood running back to the first wave of psychedelic country revivalists Beachwood Sparks. Clay is a cousin of Beachwood main man Chris Gunst. Chris and I went to bat for MAPACHE by helping them score their first club shows and recording sessions with Dan Horne. Dan eventually produced this album at the vintage analog halls of legendary Valentine Recording Studios, where the tape rolled and captured the live spirited harmony, skillful strumming and genuinely well-crafted songs that everyone from Chris Robinson to Jonathan Richman have fallen in love with. The real charm lies in the simplicity of their voices and the songs that recall a young Gene Clark, The Louvins, Crosby, Stills and Townes ... it's all there and more. One memorable night they showed up to a GospelbeacH gig with deep surfer tans and big white circles around their eyes just like raccoons...(Mapache is Spanish for Raccoon). The boys set up on stage, sang and played their timeless and soon to be classic songs into a single microphone. Time stood still, and the normally chatty LA crowd closed their mouths and opened their ears and their hearts to Mapache. At that very moment I knew they were on their way.